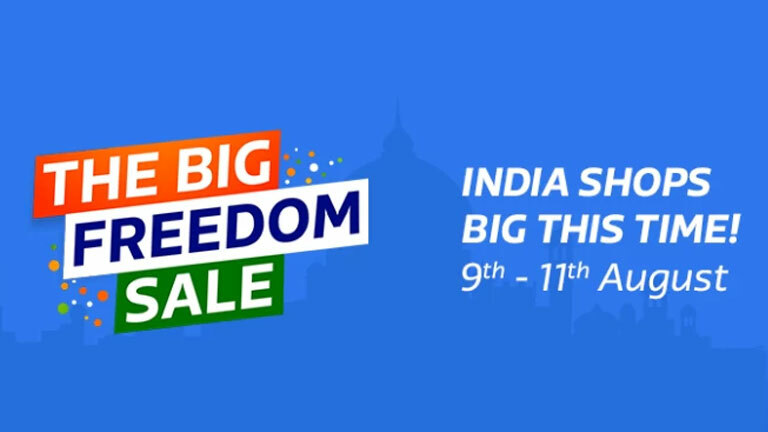 Flipkart is hosting its annual Independence Day sale, known as The Big Freedom Sale. The retailer is offering a myriad of discounts on a variety of products including home electronics, furniture, smartphones and much more. Flipkart’s sale begins today and will extend until the 11th of August. One of its key rivals, Amazon, is hosting a sale as well which will extend until the 12th of August. In the race to the top, the two retailers are vying to offer the best prices on products and some other attractive offers. We’re going to discuss some of the deals that are currently running on Flipkart for DSLR cameras and mid-ranged notebooks. Many of these items are available for a limited period, so be sure to hurry. As for the laptops, there aren’t that many choices available right now. This could be due to the fact that the deals are highly publicized and the stocks might have been exhausted. However, there are about five mid-ranged laptops up for grabs in the sale right now, with not many units left in stock. Flipkart mentions that the discounted pricing is only available for a short period, so time is of the essence. These are some of the top deals currently running on Flipkart right now. The retailer is expected to add more products to the list over the next two days. There are some exciting smartphone deals on offer as well, which is worth a look. In depth: Can an uploaded brain live forever?